We've all received direct mail sales letters. We occasionally read them, but most end up in the recycle bin. They're only a page or two long, yet many of them are just as dead as the felled log they were fashioned from. Once you've targeted suitable companies, found the name and title of the decision makers for your product or service, and the Trojan-like envelope has made it past the always-suspecting secretaries/assistants, and the decision makers have opened up the letter, what will it read like? Follow this checklist to ensure your letter stands out from the pack. Ensure the message matches the needs of the target audience: Does your offer of products and/or services match the needs of the recipient? Don't make your pitch to a company president if your message applies only to the marketing staff. Get to the point: If you begin your letter with general, hazy information, you risk losing the reader. It's critical you make your point in those first few lines. Be clear and concise: This is part of getting to the point. Skip the fluff; you're reader doesn't have time for it. Sell benefits, not features: Many businesspersons love to list and discuss product features. However, your potential customers want to know how he/she will benefit from using the product. It's OK to list features, but also include the end-user benefits. For example, a feature of the word processor is that it allows you to write and edit content electronically, so you don't have to retype the entire page. The benefits are that it saves a lot of time, and increases productivity. Keep it personal and conversational: Given today's access to current data, there is no excuse for sending out form letters. 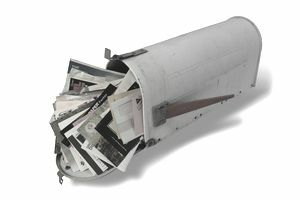 Personalize each letter you send out in your direct mail campaign. In terms of writing style, just write like you talk, and you're sure to make a warm, genuine appeal to your reader. Use letters to generate leads, not sales: The goal of a direct-mail letter is to generate a response, not a sale—whether it be a return mail card, a fax, email, phone call, or fax. The purpose is to open doors. The sale is the next separate and distinct step in the process. Write at a grade-school level: Studies have shown that most of us read at an eighth-grade level. Avoid big words to make the letter easily understood. You can be technical if you choose, but simplify your language as much as possible. Postscript (P.S.) is your friend! Case studies indicate that the typical letter recipient's eye moves down the page to the P.S. before they read everything in the letter. Try to restate your proposition in the P.S. Use white space: Readers often are turned off by large blocks of text. Try to use short paragraphs, bullets, and/or numbered lists. Give the reader some breathing room. Keep it to one page: Most presidents, purchasing agents, plant engineers, and other decision makers are very busy people. Make your point, sell the benefits, make it easy to read—and keep it to one page. Make a "no-risk" offer: Offer the recipient something. Offer free information, an article, some industry tips, free tutorial, or product sample. Create a deadline: Whether there is a real deadline or one you create, make one. Usually, a deadline increases the rate of responses because of the limited amount of time to act. Call to action! Why not ask for the order? "Call our toll-free number, 800-555-SALES, for a free consultation". Use postage reply mail: Include a business reply card for better response. Make sure it has pre-paid postage. Don't lose an inquiry for the cost of a single stamp. Include a guarantee: By offering a guarantee, you offer integrity and credibility to your products/services. Include testimonials: Nothing speaks louder for your product or services than a satisfied end user. However, if you use names and companies, make sure you get a signed authorization from them.